Britannia decorated plate - 9¾" (247 mm) diameter. Lanark ware. 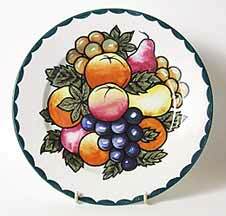 Table fruit design with petrel scalloped border.